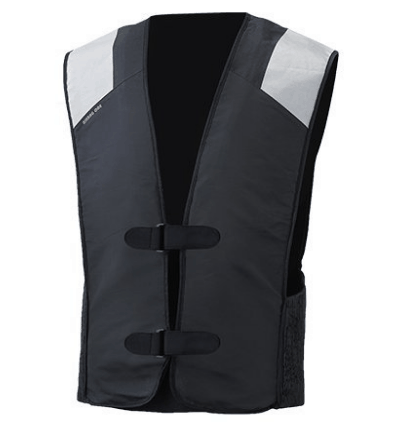 Airbag vests are widely used in equestrian events, and are becoming more common in motorcycle racing. 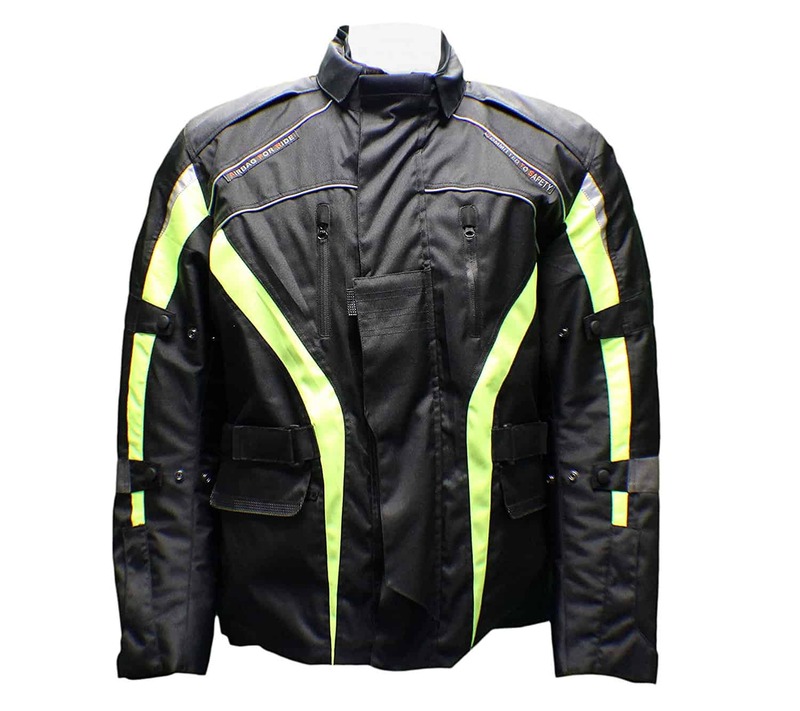 These are designed with the rider’s safety in mind and are recommended for every safety conscious rider. The MotoAir Airbag One is vest versatile enough to be worn underneath your existing gear, or as an outer layer. It provides comfort, safety, and affordability without compromise. Do you need an Airbag vest or jacket? 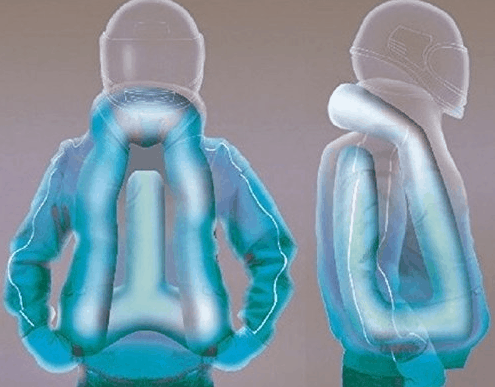 How does the MotoAir Airbag Jacket Work? Can the airbag go off accidentally? Which MotoAir Vest or Jacket to choose? Airbag vests were originally designed and marketed towards equestrian riders but are becoming increasingly popular among motorcyclists. These can be used for a range of sports including jet skiing, snowboarding, or any other power sports. Whether riding a motorcycle, a horse, or any other sport this comes with risks. Danger can come from your local weather, crossing wildlife, or other drivers. Safety is always paramount. 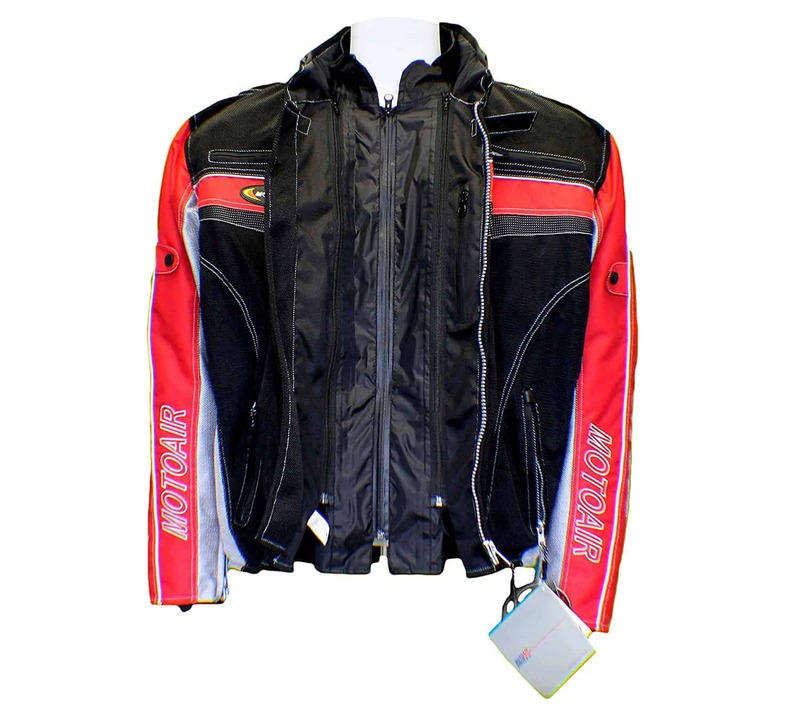 MotoAir is a quality and popular manufacturer of airbag vests and jackets, along with Hit Air and Helite. Regardless of which brand you go with, an airbag vest or jacket is an investment in your personal safety. The MotoAir airbag inflation system is built into the jacket. 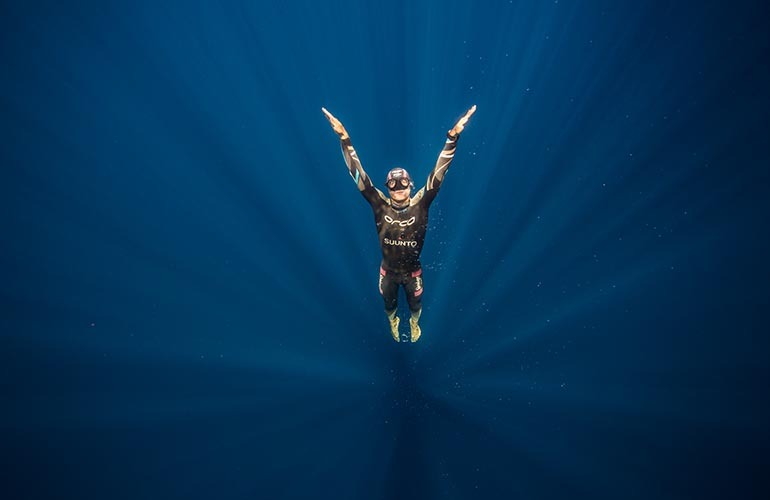 When worn in conjunction with a helmet, this system reduces the chance of injury to the neck, chest, spine, and obliques. The jackets have an integrated airbag system with a small CO2 cartridge. It's triggered by a pull cord made of twisted steel wire. 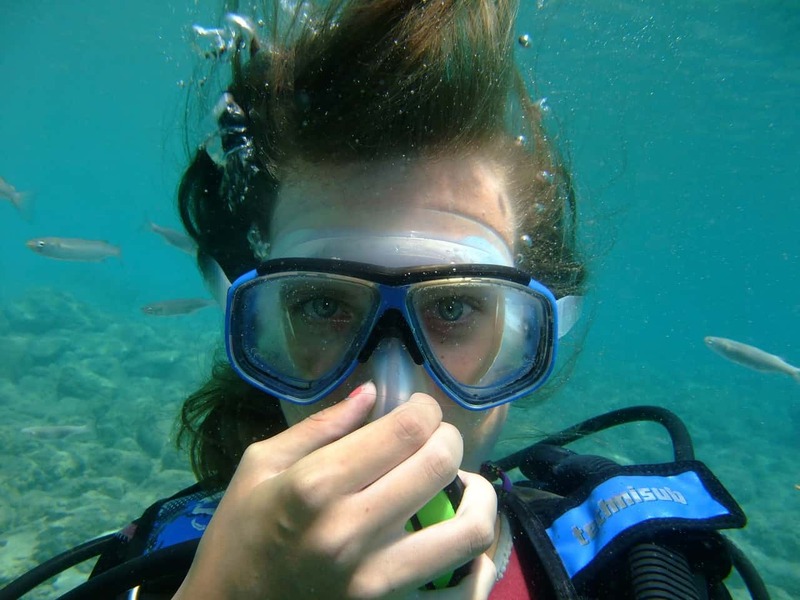 The system inflates within 0.18 seconds of being triggered. 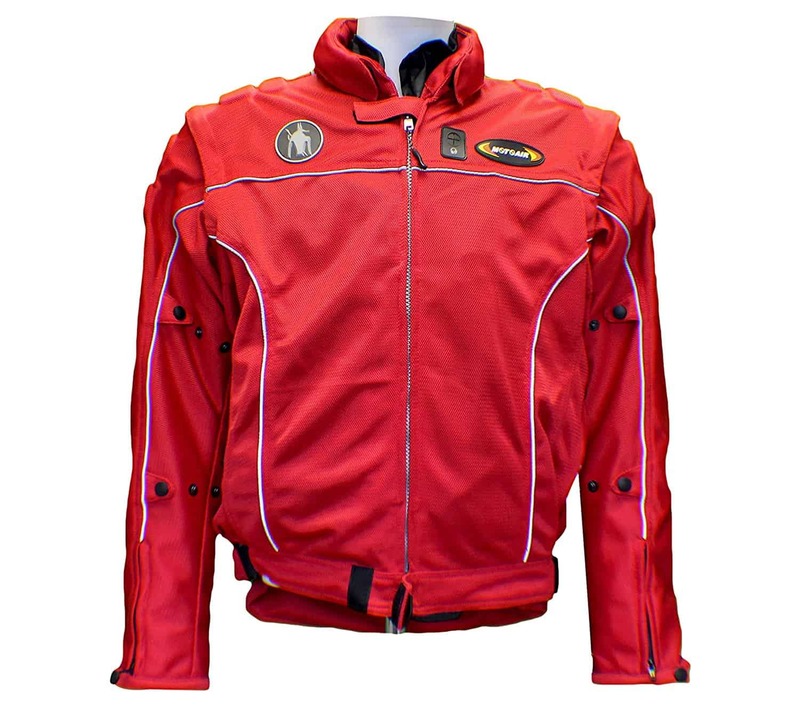 This protects the rider and reduces the chance of injury to the torso area. Every vest from MotoAir comes pre-assembled with two anchoring cables, a deployment system, and a pre-installed CO2 cartridge. 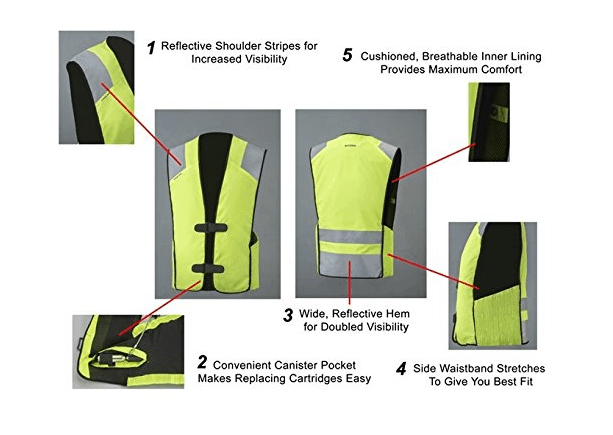 The video below shows how the vest works. If you forget to unhook the lanyard from the anchoring cable, you'll feel a tug as you start to dismount the bike or horse. The lanyard has some slack and will take around 25-35 pounds (lbs) of pull force before it deploys the airbag system. This should negate any unintended inflation of the airbag. If the CO2 cartridge is deployed, these can easily be replaced and the jacket becomes reusable. 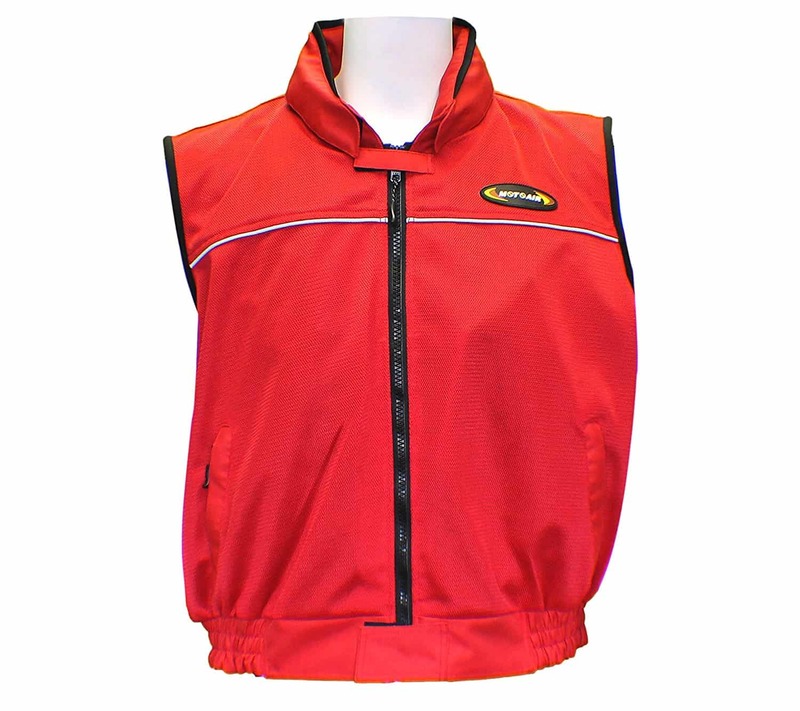 MotoAir vests and jackets are styled for year round comfort and protection. These can be used for road riding, enduro, motocross, scooter, and quad-bikes. All the jackets include the latest airbag technology. 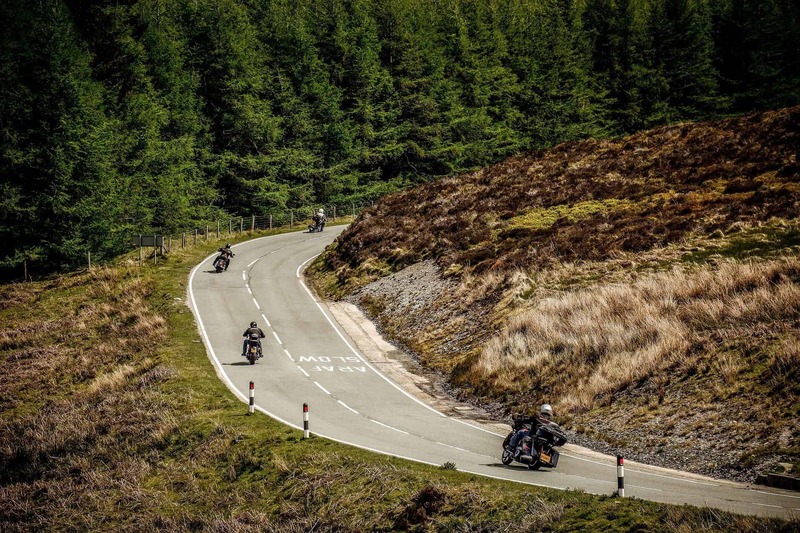 Whether you choose a textile jacket, a leather jacket or a vest, you get the same level of airbag protection. The letter in front of the model depicts which style the jacket is - (L for Leather, V for Vest, R for Racing Jacket, M for Mesh). All jackets and vests have YKK zippers for extra durability. The jackets have CE approved padding for the elbows and shoulders. 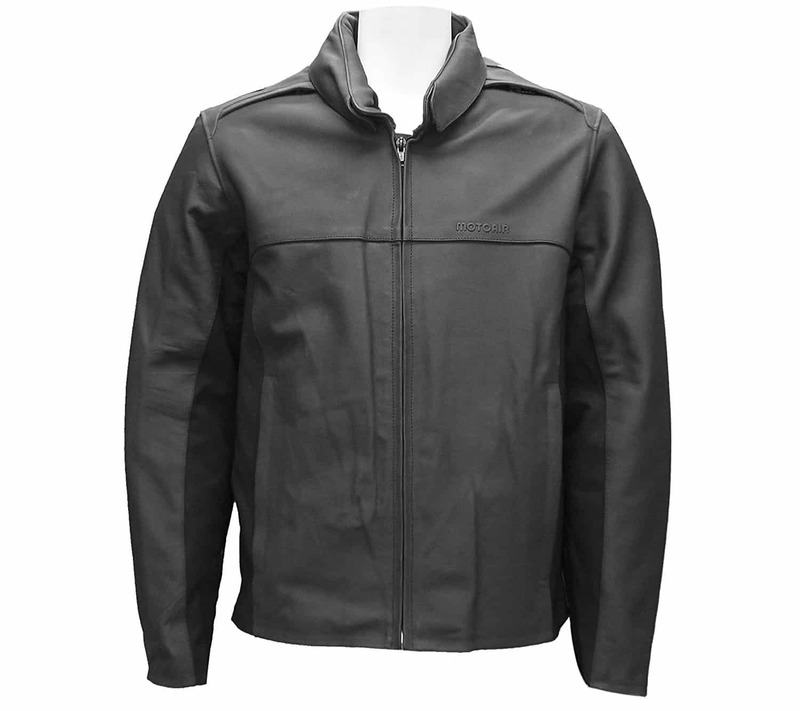 MotoAir Leather Jackets are made from 1st grade cowhide with Visualite reflex trim. Some styles include removable linings. 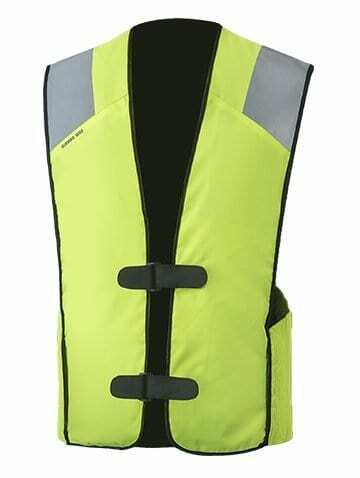 MotoAir Vests are available in Hi-Vis, Polyester, Mesh and Leather, with Visualite reflex trim. Some have removable linings. 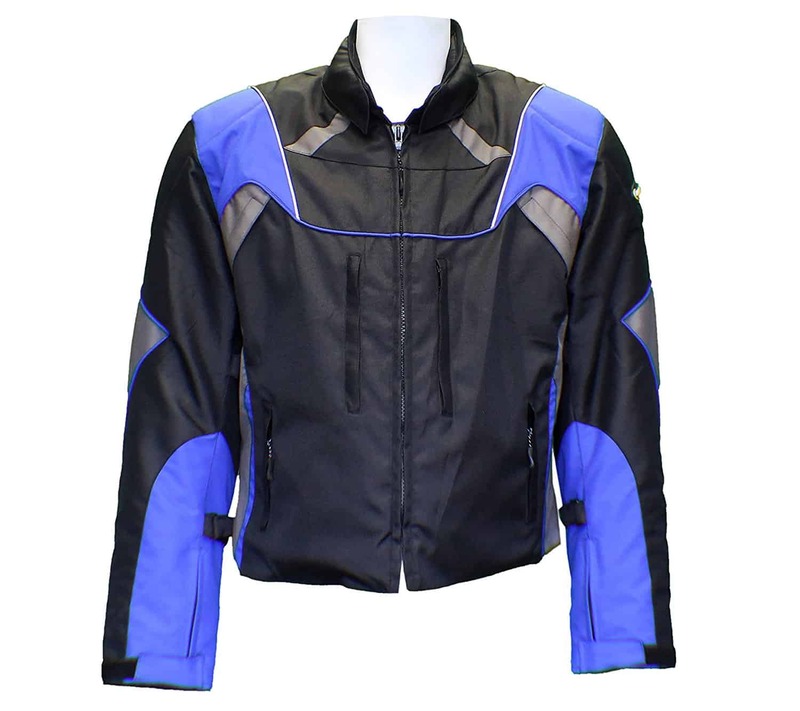 MotoAir Textile Jackets are made with 600D Polyester/Cordura with Visualite reflex trim/panels. Removable linings. Front and back vents. 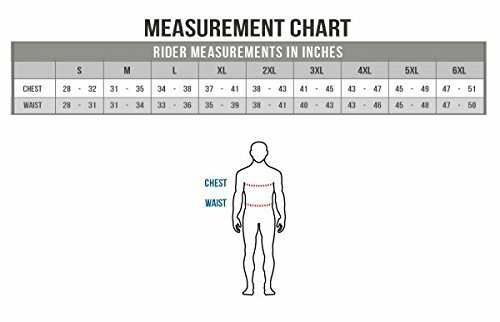 MotoAir have a different sizing system for each jacket/vest. You'll need to check on the product page for the appropriate size chart for the jacket or vest style you are looking to order. 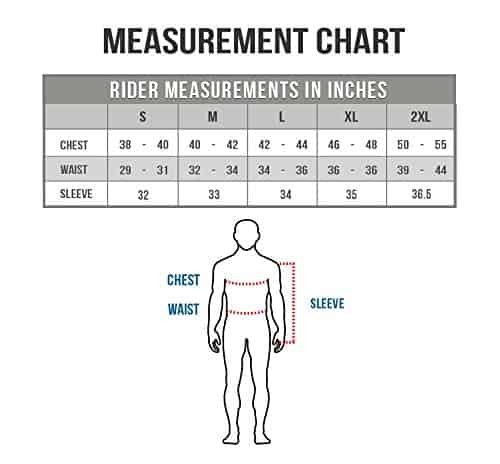 There's a size chart for the vest, leather jacket, mesh jackets and 2 for race jackets. NOTE: Measure around your chest while wearing any garments you may normally wear under your jacket and then go by that measurement. 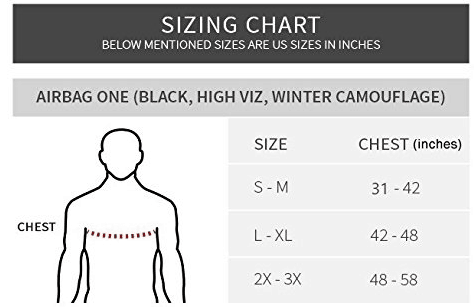 NOTE: Measure around your chest while wearing any garments you may normally wear under your vest and then order the size going by that measurement. Choose S-M if your chest measures between 31 inches to 42 inches (79cm – 107cm). Choose L-XL if your chest measures between 42 inches to 48 inches (107cm – 122cm). Choose 2X-3X if your chest measures 48 inches to 58 inches (122cm – 147cm). NOTE: When taking the measurement, measure around your chest while wearing any garments you may normally wear under your vest and then order the size going by that. NOTE: When taking your measurements, measure around your chest while wearing garments you may normally wear under your vest and then order the size going by that measurement. 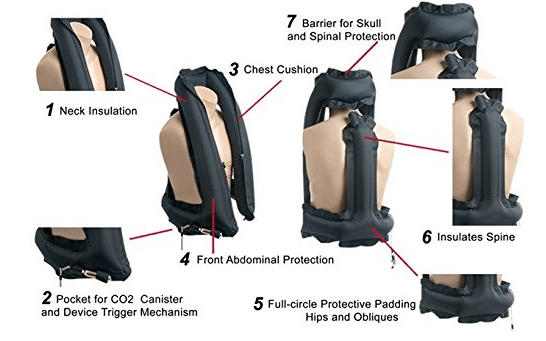 MotoAir Airbag One Motorcycle Vest is affordable protection for a range of riders. Weighing only 3 pounds (1.3 kilos) it's lightweight and offers good protection for the neck, chest, spine, and obliques, in any activity, any weather, all year round.